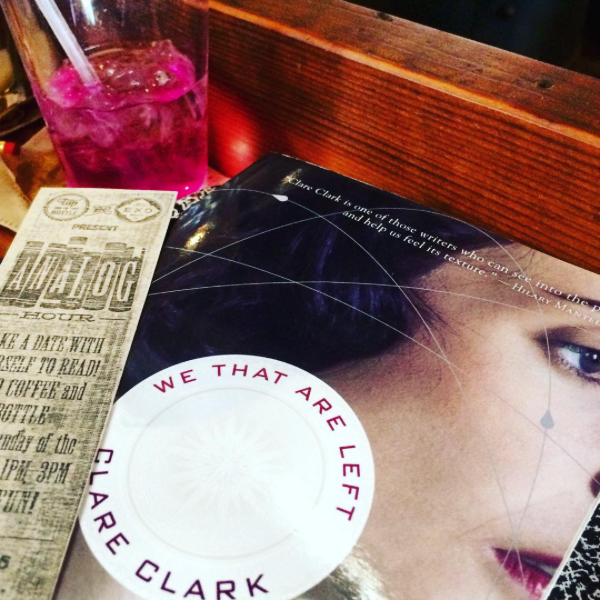 I fell in love with Clare Clark’s writing the moment I broke into We That Are Left in spite of the grammatically irritating title. I wondered what she had to say about appearances that deceive and those who are titled pretending at something while we who are not titled aspire to their falsehoods. I jotted down lines and page numbers of favorite descriptions and passages. Such great writing promises a great story. In the end, I felt cheated of that great story just as the wealthy cheat at status and the poor are cheated. We That Are Left follows the people of Ellinghurst, a home built through farming to appear stately in the Gothic manner and inhabited by the Melville family. The future of the Ellinghurst estate falls into jeopardy as World War I takes its toll on the family as it did all of England. Two narrators share the tale: Jessica, the youngest of the Melville children and Oscar, the math and science obsessed godson of Mrs. Melville. Through Jessica, the reader sees the fuzzy edges of a woman’s limitations in a man’s world even as too few men were around to enforce those limitations. Through Oscar, we see at once how brutal the system of nobility can be and how patronage helps those on the bubble. At points, I cared more for the estate than I did for the characters. On the whole, they are not likable. To borrow a phrase from one of Clark’s characters, every person in the book seems “fluent in hubris.” I’m okay with unlikable characters. Often they are rich and complex–antiheroes. Unfortunately, Clark goes off the rails with a nighttime soap opera ending. Clark’s writing is so strong that I have to wonder what the heck happened in the end? How did she let that opportunity go by? In the end, I didn’t care much if Ellinghurst crumbled. I remain interested in Clark as a writer. I like the way she plays with science and clairvoyance, tradition and progress, home as comfort and home as prison. I enjoy thinking about the Melville sisters as they embark on unusual experiences for women in England during WWI, and certainly these experiences could only have been available to those who are privileged. I wouldn’t give up on Clark, but I would quit reading We That Are Left before Chapter 37.